Fans have expressed fluctuating anticipation for My Bloody Valentine’s first album since 1991. In that 22-year span, its status has gone from imminent to doubtful, back to imminent late last year when frontman Kevin Shields told NME a new album was in the works. Better yet, he said it would be released by the end of 2012. When December passed and no new MBV album was to be found, some fans relegated to the thought it would hopefully be released by the end of 2013 – at best. The Dublin-based shoegaze innovators are a patient bunch, after all. So, last week, when Shields announced the album’s release merely 24 hours before it occurred, the internet went bonkers. 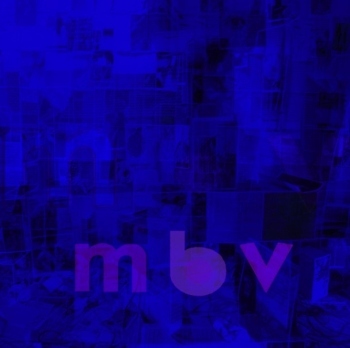 The MBV site went down the second it went up as fans obsessively refreshed their browsers, the modern-day equivalent of waiting in line at a record store. It was surreal to see a band that many associate with childhood nostalgia face such a digital hurdle. But it did not overshadow the most surreal aspect of all, that there were nine new My Bloody Valentine tracks waiting to be heard – just beyond the cumbersome purchase page. Like Radiohead did in 2007 with In Rainbows, My Bloody Valentine surprised everyone with a release that is comparable in quality to their best material, most notably the legendary Loveless. Comparisons to Loveless are inevitable, but Shields was correct in his statement when the album was first announced last November: “Some people think it’s stranger than Loveless. I don’t. I feel like it really frees us up.” While closer “Wonder 2” presents chaos, anxiety, and free-form whirring uncharacteristic of MBV, the bulk of mbv touts the gauzy layers of reverbed guitar, hypnotic rhythms, and angelic vocals that fans would expect. MBV’s comfort zone is embraced, rather than being tampered with. Their Loveless repertoire has returned, though the spectrum throughout mbv is vaster, and takes more getting used to than the immediately appealing Loveless. The tracks on mbv build patiently before their best moments arrive like a punch in the gut. There are displays of slowly brooding distortion in “She Found Now”, effervescent pop clarity with “If I Am” and “New You”, and aggressive guitar-led tonal shifters with “Only Tomorrow” and “Who Sees You”, the latter category most aligned with Loveless. The album is adventurously diverse despite remaining in the band’s safe zone, intent on rich guitar textures, patient chord progressions, and hazy deliveries. “New You” has a crisp clarity that makes it surprisingly accessible. Apart from that, mbv is a gradual grower – as any MBV album with heavy-layered production (all of them) should be. While those new to the group will have to patiently become acquainted with mbv, those familiar with Loveless will fall quickly in love all over again. The album begins with a somber touch. “She Found Now” is a devastatingly haunting ballad made great by numbing distortion and the subtle melodic transitions of Shields’ cooing voice. While the distorted backbone remains constant, Debbie Googe’s trembling bass line leads a tragic and powerful melody that Shields reflects off of, allowing various bursts of guitar to patiently assemble and provide twangy accompaniment to his wistful vocals. It’s a subtle stunner, not an in-your-face blast like “When You Sleep” or the subsequent “Only Tomorrow”. But it’s a superb opener, one that serves as the most melancholic track on mbv and one of its most memorable, too. “Only Tomorrow” is good ol’ MBV; Bilinda Butcher’s vocals, having not lost a step since 1991, glide over gentle guitar clanging and alternating distortion. Its adventurous structure alternates between melodically rich verses and powerful instrumental interludes, essentially passing the torch to Googe and drummer Colm Ó Cíosóig when she clears way for a spine-tingling solo of clanging distortion. Just before the two-minute mark, the guitars stop to take a breath, emulating a sigh in the midst of emotional fury. The instrumental chorus’ second appearance features a warbling lead guitar that adds a playful psych-rock element to the pre-existent distortion, eventually fading out as if the track goes on forever. It could, and I don’t many would mind. With “She Found Now” and “Only Tomorrow”, mbv kicks off in phenomenal form. The subsequent two tracks, “Who Sees You” and “Is This and Yes”, provide a pleasant lull between the dual openers’ raw power and the surprising pop clarity of “If I Am” and “New You”. “Is This and Yes” features wordless humming from Butcher, who helps lead a starry melody dominated by keyboards and a sonar-like bleeping. While one of the album’s dullest efforts, it promotes a breezily enjoyable and somewhat futuristic atmosphere that would fit great on Carl Sagan’s Cosmos, or any other space-themed program with a psychedelic flair. The preceding “Who Sees You” is the most repetitious on mbv, hardly willing to stray from its initial distorted construction. It sounds like a fleeter cousin of “She Found Now”, except that effort featured more melodic alternation from Shields’ vocals. 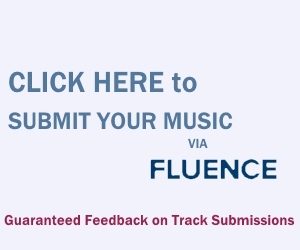 With “Who Sees You”, the only striking elements throughout its six-minute journey are the layered guitar solos. Often Shields’ vocals are the strength, but here it seems to convince the instrumentation to remain uncharacteristically stagnant. Many will enjoy the mind-numbing progressions on “Who Sees You”, but there are plenty of other greater achievements throughout mbv, which ultimately “frees up” the group’s sound as Shields intended. The back-end of mbv contains some of the most striking tracks of MBV’s career. This phase begins with “If I Am”, where whirring guitars slither through hypnotic phasing effects to beautifully complement hazy keys Butcher’s mesmerizing croon. Some of these production tendencies remind of Shibuya-kei, notably the guitar and female vocal layering. It wouldn’t be a surprise if it had an impact on this track; Shields is no stranger to the Japanese music scene, after all. With even greater pop clarity, “New You” rides on a bouncy bass and enchanting synth lead. Yes, this is a MBV track that can be described as “bouncy.” When Butcher’s vocals hit, it’s difficult for the bliss not to overwhelm. “New You” is one of the album’s dreamiest and blissful efforts despite being perhaps the least shrouded in reverb; it shows that MBV have clearly not omitted melodic beauty from their loaded arsenal. It’s also apt preparation for the three closing tracks, all showing some of the most aggression on the album. “In Another Way” kicks off with discordant guitar whirring and spastic percussion, instantly showing that it may not be as polished and ethereal as the preceding two tracks. The guitars enter in more conventional rock form, transitioning between heavy chords at a rapider pace. The synth backing during the chorus is very similar in tone to the twinkling synth breaths on “New You”, but on “In Another Way” the arrangements are more brooding and urgent. Butcher’s vocal performance is again magical and precise, serving as a fond farewell as her vocals are absent on the album’s final two efforts, the crunchy “Nothing Is” and the anxiety-ridden thriller “Wonder 2”. They close out the remarkable album with a special kind of volume-raised inventiveness, reminding listeners that MBV have more to offer than their trademark Loveless sound. But even with an album partially reliant on it, there’s nothing to complain about. There’s only quality music here, from a group whose resurgence is the first pleasant surprise of 2013. Very psychadellic aspect. I feel as if I’m being washed over by the guitars are a constandt wave of textured lush sound throughout the track. I also like how the harmonica sneaks in there. The vocals are like liquid morphine.